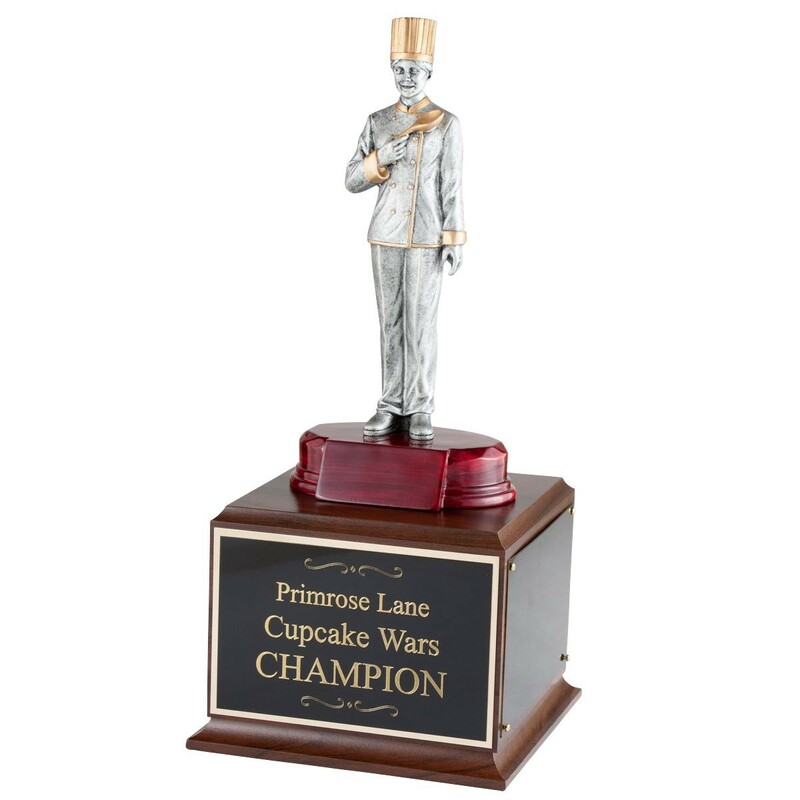 Perfect for any annual cooking event, the Chef Perpetual Trophy - Male or Female is made for years of use! A cook in a chef's hat and coat is featured above a walnut colored base. 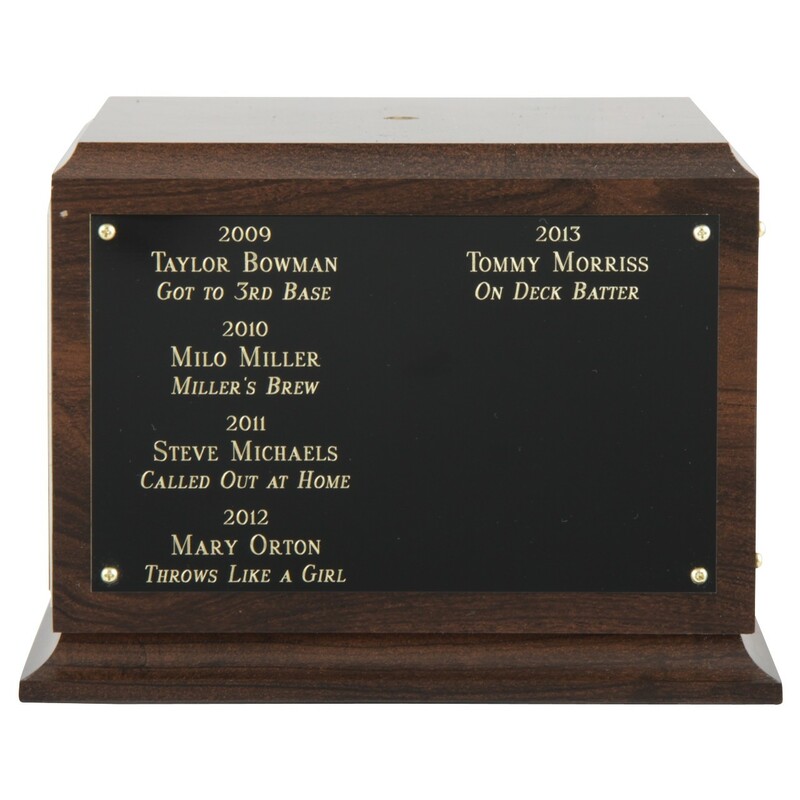 This cooking trophy includes engraving on the front of the base for your contest name and the optional three side plates for engraving of yearly winners.